The extracurricular activities I am involved are Tougaloo Ambassadors (TAMS), Faculty Assistant Mentors (FAME), Pre Alumni Council/UNCF, Mass Communication Society, Womanhood International Incorporated, and the American Association for University Women (AAUW). After graduation, I aspire to pursue a career as a News Broadcaster and Public Relations Specialist, along while, owning a television show. These have been my aspirations since my junior year of high school, walking around with a Walmart camera, recording videos as if I was already living my dream. 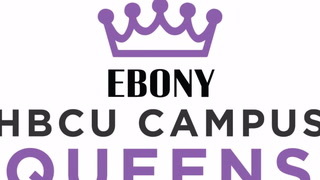 My most memorable contribution as a Campus Queen has been my opportunity to create a safe haven and freedom space to other kings and queens on campus who thought there were none, through an event I host every month titled "The Royal Meet Up: Queens Amongst Queens and Kings Amongst Kings." Being Miss Tougaloo College has given me the opportunity to be a beacon of light to my peers, mentor, and display the favor of God that He has graced me with to do what He has called me to do in this time. I encourage all my Tougalooians to believe that the future is ours, own it! THIS IS FOR US!